In cooperation with Daniel Gloor the links between the species datasheets and determination pages on Araneae – Spiders of Europe are now updated for all valid species (sensu Platnick Catalog) in the Checklist Caucasus. The distribution maps on Araneae – Spiders of Europe are now also updated based on the CaucSpiders Database. Dieser Beitrag wurde am Dezember 1, 2013 von Stefan in New/Updated Feature veröffentlicht. Schlagworte: Cooperation, Species Datasheet. Country checklists are now implemented. Dieser Beitrag wurde am Juni 17, 2013 von Stefan in New/Updated Feature, Uncategorized veröffentlicht. Schlagworte: checklist. Today I added the Publications Page with a list of the 232 publications forming the basis of the database. All entries are linked to the page of the publication in question. So far, it contains only the basic citation information and I plan to include more information here, e.g. links to the BibTeX code or the PDF links. Write me an email if you wish to get an email copy earlier! Dieser Beitrag wurde am Mai 27, 2013 von Stefan in New/Updated Feature veröffentlicht. Schlagworte: Publications Page. 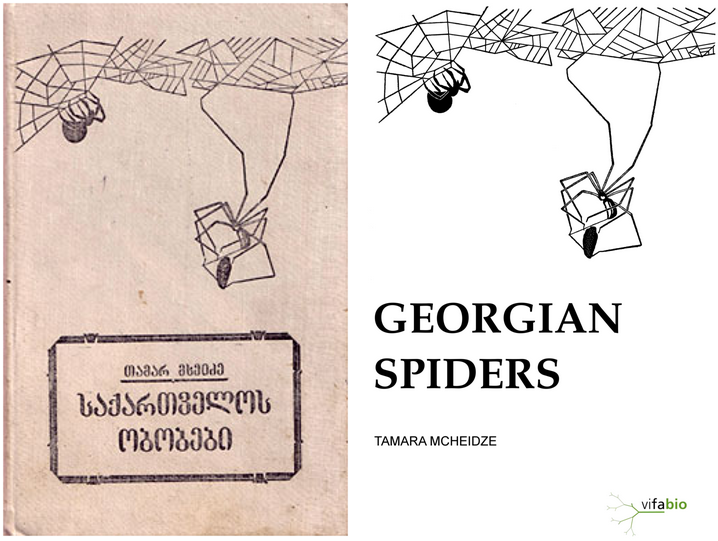 During the last years Sebastian Tramp and I explored the possibilities of representing the Caucasian Spiders Database by RDF schemes (-> http://db.caucasus-spiders.info/Area/152). Because of this work caucasian-spiders.info has not been updated and after a crashed server was not available on the web anymore. Dieser Beitrag wurde am Mai 22, 2013 von Stefan in New/Updated Feature veröffentlicht. Schlagworte: OntoWiki, Version 2.0.